Buff Collection features 12 wearable shades inspired by the popular smokey eye trend. Does this palette look familiar? I'm really not a fan when brands blatantly copy another brand in such an obvious way and then sell it at the same price point. However, I received this in the box so I was willing to give it a try. 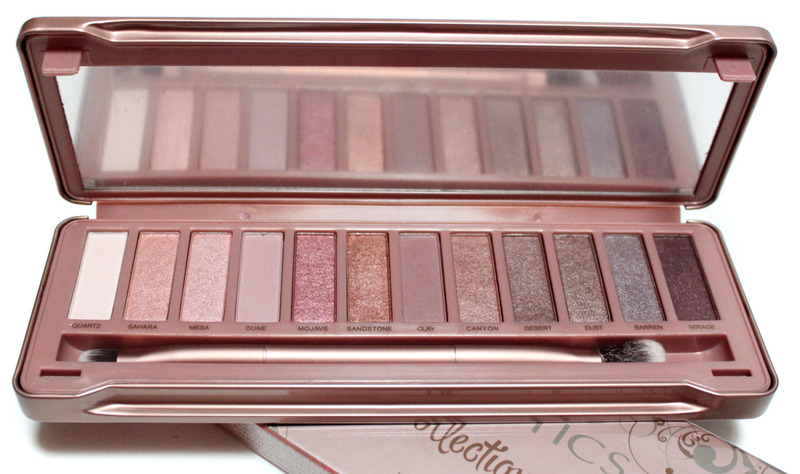 This eye shadow palette is well made and the brush it comes with is wonderful. The colors are rose-hued soft pinks, rose gold, and a mix of shimmers and mattes. The eyeshadows were pigmented and applied silky smooth. I really liked this palette in terms of color and quality, it just rubs me the wrong way with how similar it is to THAT OTHER palette. Getting a versatile palette in a $21 box is incredibly generous though. BoxyCharm is really on to something with these palette inclusions, they make the box completely worth it. 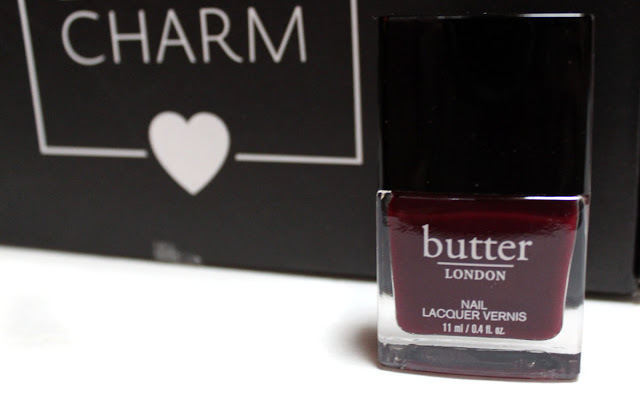 I LOVE Butter London Polishes. They go on smooth, pigmented, and are 8-free lacquers. The color Ruby Murray is a deep burgundy cream. This is my Fall/Winter shade all day. Ofra Long Lasting Liquid lipstick is a one step full lip color that does not feather. The creamy and soft texture moisturizes your lips while creating a long lasting lipstick effect. Ofra's Liquid Lipstick's are some of my favorites, they have intense color but don't dry your lips out like matte liquids do. I am sure I would have loved this had it been a different color. The dark purple is a little too extreme for me and likely for most people. I know I can gift this to a friend who will love it so nothing is lost! Yes, BOXYCHARM you read my lips. The dry cold air we've been experiencing has not been kind to my lips and I needed a new lip scrub like yesterday. 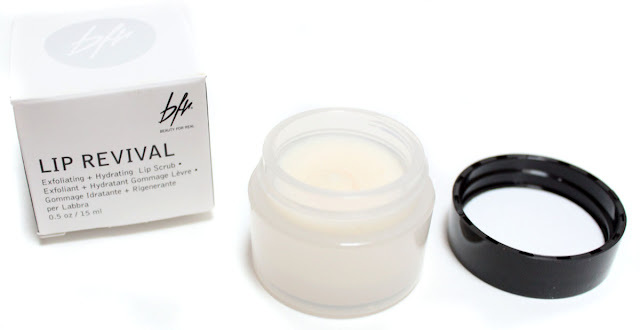 This one from Beauty For Real is made with raw sugar cane and a blend of yummy scents of orange, vanilla, and cinnamon. BFR never disappoints. Define your line with this ultra creamy, pigmented eye pencil. This eyeliner applies very smooth with a gel texture. It would be nice for smoking out eyeliner, but it is way too slippy for a crisp line. The color Plumeria is a red-toned plum. I might have liked this had it been black, but who wants to look like they got punched in the eyes? I figure this is the cheap no-name line BOXYCHARM throws in to hit the value of the box, so no biggie if I don't care for it. It might work out as a lip pencil though. BOXYCHARM always hits it out of the park with their boxes. Even when you don't like every single thing the box always goes way beyond its price point. There was also a $40 off HelloFresh card in here that I can't wait to try out when we get healthy next wekk. You can still get this December Box through the end of the month!